Bugs Or Us Pest Control operates as a family-owned busines. We pride ourselves on giving you personal attention and optimal service in eradication and prevention of pest or termite problems, termite inspections and treatments. Paul obtained his licence in 2000 and since then has continued to stay up to date with modern safe pest and termite treatments. 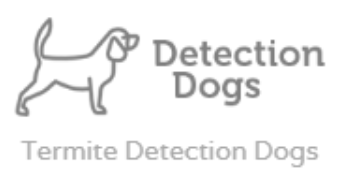 In 2010 he invested in purchasing a termite detection dog and shortly after a quality thermal camera to go along with our Termatrac. The aim was to set our business apart from our competition and to provide our customers with a higher level of professionalism. In 2011-12 when America went through a depression and our dollar was very high there was importing of high end boats to the country, which meant the possibility of importing termites. Paul was Australian Quarantines go to person to carry out inspections and the only unsupervised inspector throughout Sydney. Unfortunately due to the change in economy there is not much of this work now but we still do get the occasional job come in through Australian Quarantine Inspection Service AQIS. 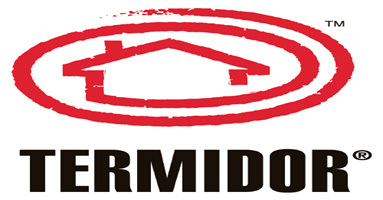 In 2017 Australian Standards for termite inspections were revised and now recommend the use of detection animals and or radar technology (Termatrac) before an invasive inspection is carried out if high moisture readings are detected and a reason can not be confirmed, yet Paul has been doing termite inspections to this level since 2010. Bugs Or Us Pest Control does stay in regular contact with chemical manufactures representatives and trade shows to continue our understanding of products and keep up to date with new products or methods of treatment. Our industry has gone through many changes over the years so staying up to date is very important to us so we can offer you the best possible solution whether it being it from home pest control, commercial pest control or termite treatments and inspections. Home Pest Control needs including treatments for (Cockroaches, Spiders, Ants, Silverfish, Bees, Wasps Rats and Mice, Fleas and more if needed). Termite Inspections that meet the new Australian Standards & Pre Purchase Timber Pest Inspections. Termite Treatments, wether is be a chemical barrier or baiting and monitoring system, we offer you what we feel will be the best option for you house and budget. Commercial Pest Control, we can implement a management plan to suit your requirements, our largest customer has several commercial kitchens and accommodates over 2000 people. Real Estates, we are able to offer you our services for your rental roles or you may need help in trying to close a sale on a house that has termites where we can offer a treatment plan and possible warranty period, or you may need to get a secondary more accurate Timber Pest Report to help your client. Feel free to give us a call and discuss your needs we can usually give you a free quote for most of the work we do.